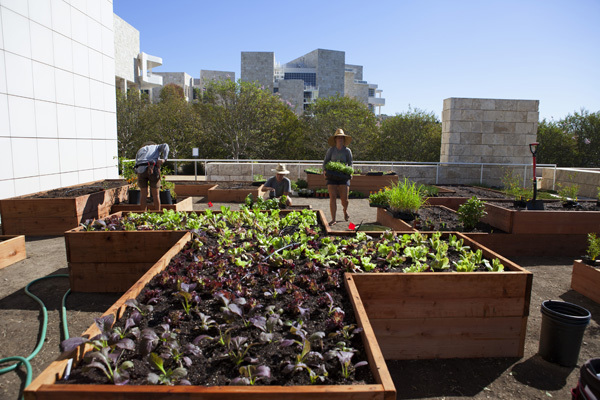 The Getty Salad Garden, an installation of organic heirloom vegetables and salad greens growing in raised beds, sprouts up on the Getty Center grounds starting today. As the fascinating history of art and food come together in two special exhibitions—The Edible Monument: The Art of Food for Festivals and Eat, Drink, and Be Merry: Food in the Middle Ages and Renaissance—the Getty Salad Garden offers a tasty counterpoint. 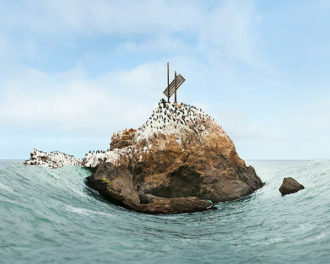 The project is a collaboration between the Getty Museum’s Education Department and Julia Sherman, a New York–based artist and writer. Julia is obsessed with salad. 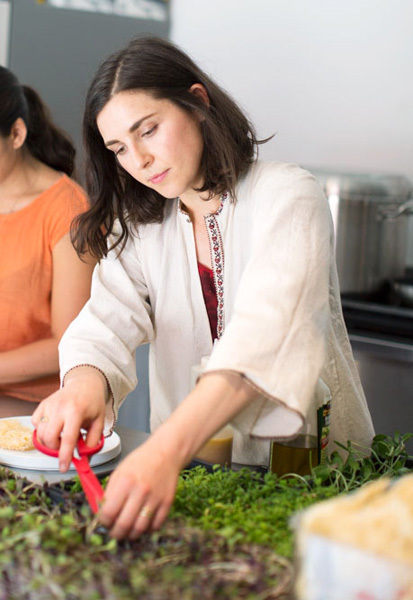 Through her blog, Salad for President, she uses her preoccupation with leafy greens to bring together creative people and share their fascinating stories. During her latest salad exploration adventure in Japan, where she sampled dishes with myoga wild ginger flower, ponzu dipped sea grapes, and fried lotus root, I spoke with Julia about how the Getty Salad Garden came to be and how the simple salad managed to get her vote. What led you to create Salad for President? My husband started a Tumblr for me called Salad for President, urging me to catalogue my obsessive cooking, gardening, and hosting. These were the creative things I was doing without preoccupation, the equivalent of a sketchbook for most artists. There came a point where I finally admitted that I wasn’t inspired in the studio; I wanted to be in my kitchen or garden, making that which I knew exactly how to share. So I taught myself how to take photos of food, and I started inviting myself over to the homes and studios of all the salad-loving artists I knew. The energy I brought to the project was immediately contagious, and so it became a garden, a book, a cocktail syrup, and a soon a perfume. The open-endedness for me is the best part. Salad is a platform for me. I read that you think making a salad is similar to making art in that it requires assembling various colors, textures, and sensory elements. Yet salads are not art. Why do you make this connection? I think you could make an argument that a salad could be art if the maker wanted it to be, but for me, salad as an art object is not really the point. I am more interested in practice and dialogue, an artist’s approach to the entirety of their world, not just their finished works. If I were to call the salad itself a work of art, it would no longer feel like a casual gift, something I can so easily give to others. It’s not meant to be exhibited but consumed, and then reimagined the very next day. What have been your favorite salad sessions? Some of the best salad sessions have come from those who don’t identify as cooks. Sina Najafi—editor in chief of Cabinet Magazine—and Nina Katchadourian—one of my favorite artists—used the materials of their salad to make a tribute to Rafael Nadal, their favorite tennis player. They constructed a tiny tennis court out of pine nuts and chives, and we got so deep into the topic that it eventually turned into a potent lesson on role models and the importance of finding inspiration outside your given discipline. If you had to choose a salad recipe that best reflects your own creative outlook, what would it be? I always go back to the Greek salad, because I am fascinated by its staying power—I have never met a contemporary twist on a Greek salad that I preferred. In all creative pursuits, it is important to know when not to innovate but to instead appreciate things just the way they are. This is a trait I appreciate most in art—think of Bruce Nauman or the Fluxus artists. Things don’t have to be complicated to be good. What artists have been important for you throughout your career? I have been very fortunate to have mentors whose work I admire. When I was in college, I identified with the work of Janine Antoni. I had the chance to work with her in grad school and assist her briefly, and she taught me about work-life balance, prioritizing, and taking risks. She has been making sculpture and installation successfully for over 20 years. Later she found her passion in dance and was not afraid to pursue that. That, to me, is what it means to be a great artist. Same for Jon Kessler and Dike Blair, who have been painfully honest about the peaks and valleys of the art world and their own careers. We are all just trying to figure it out, over and over again, and it is so valuable to hear that from those who are succeeding. The art world is not a cult where you find your place and claim it; rather, we are just a roaming community of restless makers looking for a way to keep pushing ourselves. 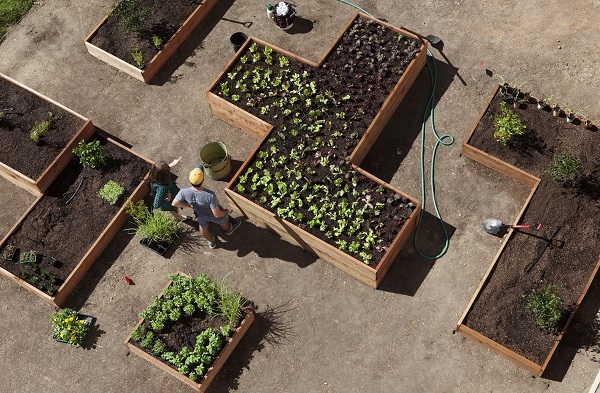 Last year you created a salad garden on the roof of MoMA PS1 in New York. Why is it important to you to present Salad for President in the context of a museum? The art world will always be my home, and I think it is crucial that I root my thinking there. A project like this, as innocuous as it might seem, asks some critical questions of both the visitors and the museum itself, the artists who show their work there, and the people who make the museum happen. How are you supposed to use the space and who does it belong to? How can a museum be an active place of engagement? 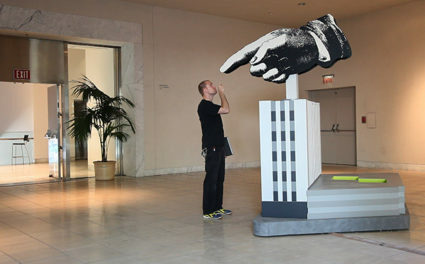 How can it activate the imagination of the public? For me, the garden is both familiar and strange—a place that allows for an ease of curiosity, discovery, and dialogue amongst the experienced gardener and the total novice alike. This mirrors the ideal engagement one should have at the museum. For the Getty Salad Garden, you’ve brought in two collaborators: David Godshall of Terremoto Landscape and Farmscape Gardens. How did you meet these collaborators and bring them into the project? David Godshall and I are old friends. He approaches everything he does with the utmost intention and respect. I knew that if we were to make a garden at the Getty, it would have to be beautifully designed and sensitive to its surroundings. So David created a really smart Tetris configuration, which was an elegant and cost effective solution to a functional garden. 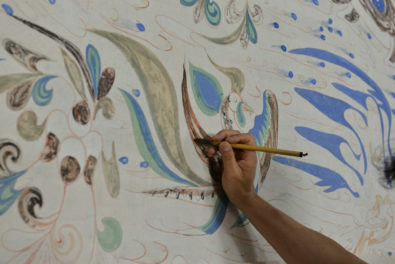 It’s also one that he sees as a midway point between the Getty Center’s architecture and Central Garden. When I was in Los Angeles about six months ago, Gillian Ferguson, the producer of the radio show Good Food, wrote an article about Salad for President for Los Angeles Magazine in which I alluded to my plans to make my next salad garden in Los Angeles. Lara Hermanson of Farmscape Gardens reached out to me, offering to plant and manage a garden if I were to make it happen. I consider myself the ultimate amateur gardener, but for a project of this scale, I could never have done it without the expertise of Lara’s staff, Dan Allen and Ariel Chesnutt, who spend all day creating and maintaining public and private vegetable gardens in California. Why did you want to realize the second iteration of your garden project in Los Angeles? I moved to Los Angeles with my partner, Adam Katz, in 2007, and he and I started a project space in the front of my studio called Workspace. It really served a need of our community of artists, just finding their way after school, not yet showing their work in commercial galleries. It was there that I found my place as an organizer, a host, a facilitator of artists’ projects. I am grateful to Los Angeles and its artists for their energy at that time. I later moved back to New York for grad school, but I’ve always maintained a life in L.A. I also learned to garden here, so it seemed only right to make the next salad garden in the place where so many of my fundamental ideas came together. Bringing people together and sharing their stories seems to be the central impulse of Salad for President. What is it about salads and gardens that make them such great connectors? I’ve discovered that the intimacy of salad and the garden unlocks a world of people I admire. We are all trying to figure out how we can live our lives better, more honestly, more fully. What better way to spark a conversation about those big ideas than to start with something small? This season, Julia Sherman is in residence at the Getty Salad Garden, growing, harvesting, and cooking alongside members of Los Angeles’s artistic community. Through student workshops, intermittent public hours, and small gatherings, we hope the simple salad will inspire new encounters between visitors, artists, gardeners, cooks, museum staff, and works of art. 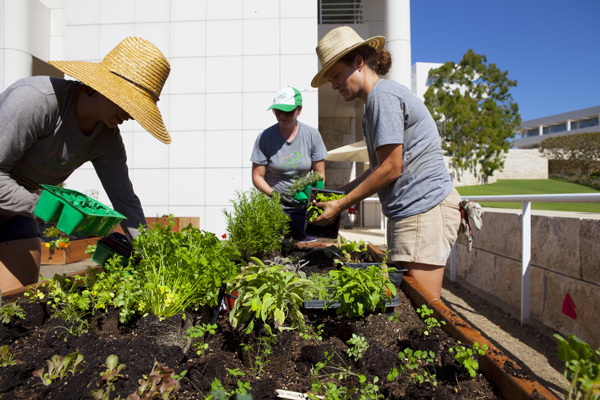 The Getty Salad Garden is a project of the J. Paul Getty Museum Education Department and is made possible by the generosity of Anawalt Lumber, Bragg Live Food Products, and Kellogg Garden Products. What Can We Learn from Artists’ Projects in Museums?